Last year, single family homes were selling here for just over $1 million, on average, but there is a lot more going on in Brookswood besides price. “The is a sought-after community,” explains Kevin Horn, a realtor with Re/Max Treeland Realty. “Homes sit on large lots, are surrounded by trees and there is extremely good drainage.” Horn predicts continued price appreciation due, in part, to developments planned for just south of the community. “The Township of Langley is planning to develop multi-family housing and build up the commercial space on 200 Street and that will certainly improve amenities and access for this centrally-located and well-serviced neighbourhood.” Scroll down to see all the stats on Brookswood. Last year this Langley community started booming as many townhouse-owning families sought their own detached home in a great school catchment. “Walnut Grove is close to the freeway so it’s a great bedroom community for those commuting into downtown Vancouver,” explains Horn. “Those driving can spend ‘just’ 60 minutes in rush-hour traffic getting home, where they can spend their time walking to shops, restaurants or walking along the river trails.” Last year prices exploded as families pushed to get into this neighbourhood, but Horn still sees value, particularly given that homes in Walnut Grove are close to the picturesque but more expensive Fort Langley community. Scroll down to see all the stats on Walnut Grove. Investors and those looking for value in their real estate purchase will be eager to learn about Aldergrove in Langley. In the past it’s been a highway community with a bit of industrial around the edges, but it’s currently in transition, says Horn. The community is currently building a new civic centre with a new ice rink and pool to come in the next couple of years. Add to this the good shopping and access to transit lines and Horn believes this community “will grow up in the next 15 to 20 years.” Scroll down to see all the stats on Aldergrove. In the past, neighbourhoods in Surrey have been tarnished with one negative brush stroke. Higher crime rates and more visible cultural barriers made it a tougher sell. But things are changing and that means not all of Surrey can be considered “rough spots” anymore. One of these brighter spots is Guildford, just south and east of Guildford Town Centre (and the Skytrain stations that seem to attract certain elements). Homes here are large, offering two or more parking spots and plenty of backyard space for kids to roam. Schools are decent and there are plenty of shopping and work options for those who decide not to commute. Another added feature is that Guildford is nestled between Green Timbers and Tynehead Regional Park giving you easy access to active lifestyle options. Scroll down to see all the stats on Guilford. Want to escape back to the early 1900s complete with Victorian homes and horse-drawn buggies? Consider buying into the popular, but pricey, Fort Langley community. An extremely popular weekend destination spot, Fort Langley boasts some of the sweetest homes in the Lower Mainland—complete with strict development guidelines. “There are plans to develop the Fort Langley city centre,” says Horn. “All work will be in accordance with the historical feel and look of the neighbourhood.” Fort Langley is surrounded by agricultural land and there are no plans to develop this land anytime soon, which is great news for current homeowners and anyone that wants to live in a small town with access to big city amenities. Scroll down to see all the stats on Fort Langley. Average home prices hover just under $1.6-million in this community, but this also buys you “exceptional schools, amazing weather and a deep sense of community,” explains Morely Myron, realtor with Re/Max Colonial Pacific Realty. “We are far enough from Vancouver and the mountains to get much more sun, but close enough that commuting into work isn’t an issue,” says Myron, who has lived in the community for more than two decades. “Combine this with top-rated private and public schools, some new developments and a great mix of housing types and you have a diverse community that fits everyone’s lifestyle.” Going forward this community will probably attract more families fleeing Vancouver’s high housing prices, says Myron. “In this community they can afford to own and still get access to the beach.” Scroll down to see all the stats on South Surrey White Rock. 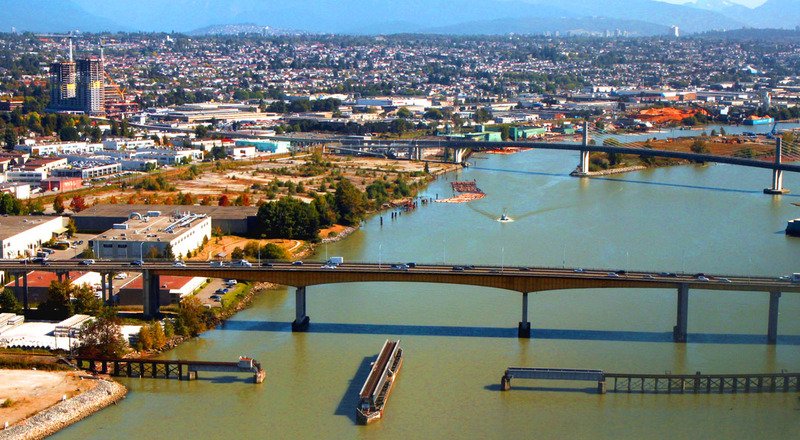 Tap or click to see where to find the top five neighbourhoods in South Fraser and the realtor pick.